The planes were being prepared to be towed to the gates for flights when one aircraft rolled into the plane in front of it. 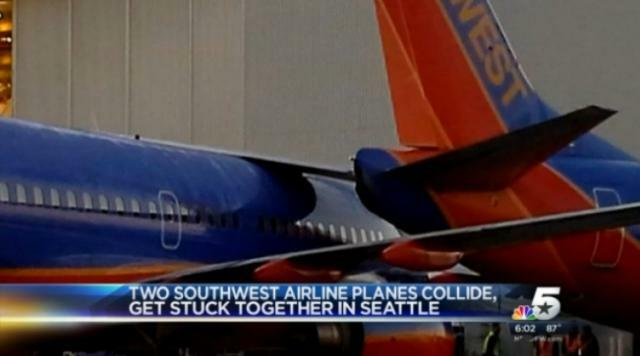 The nose and fuselage of one plane struck the end of the wing of the second aircraft. Nobody was hurt in the slow-moving crash, said Perry Cooper, airport spokesman. The incident occurred in a cargo area where planes are parked overnight.